Every now and then we come across someone who can only be described as a 'wunderkind', or a person whose talent and achievement are way beyond their years. Reese Burgan is definitely one of those artists, and Earth Mantra is proud to release his first album on our netlabel. This album is a collection of the artist's solo improvisations from over the past few years, recorded during his live performances on StillStream.com. The music vacillates between dark and light ambient, and is simply a marvelous exhibition of the kind of ambient goodness one can only experience in a warm intimate venue with an enthusiastic audience of friends and fans. 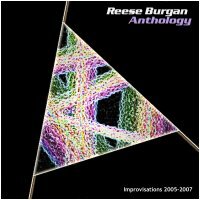 In short, Reese has a tremendous and broad musical talent, and this is a great release to use to introduce yourself to his ambient music.